Dimension : Length according to the customer and manufacturer specifications. 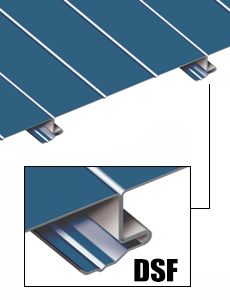 Matériel : Aluminum, 30 colours, high resistance finish (Kynar 500® PVDF or Hylar 5000® PVDF). Installation : Horizontally or vertically, on open framing or solid substrate. Dimension : 12″ width, length cut to customer specifications, minimum 3′. Material : Aluminum or coated steel. High resistance finish (Kynar 500® PVDF or Hylar 5000® PVDF). Also available in perforated panels (see the section Perforated panels on this page). Hidden fastener system compatible with all profile models. 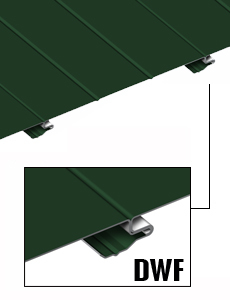 Roofing and siding panel. Concealed patended fasteners system. Installation : Vertically, on open framing or solid substrate. 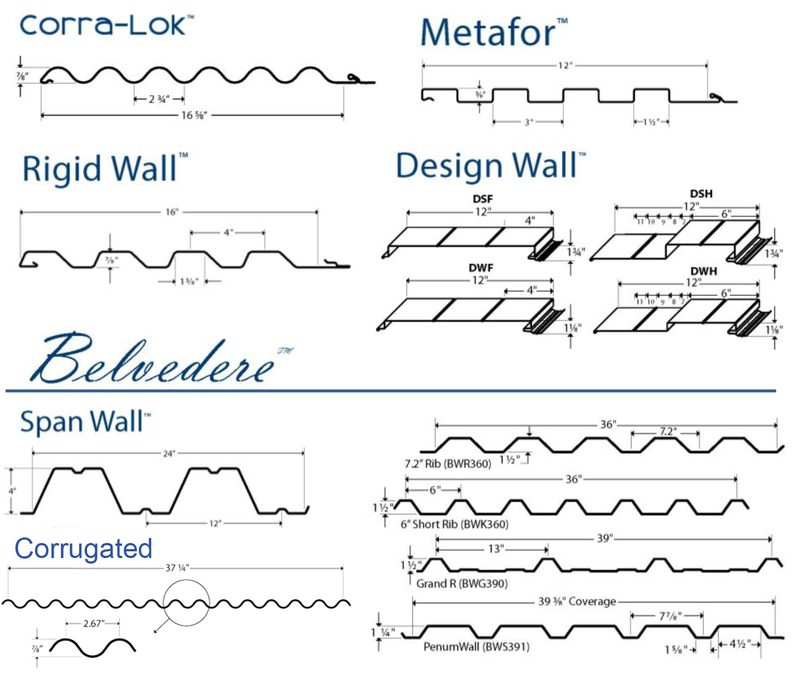 Dimension : Width 11″, 15″, 19¼”, length cut to customer specifications. Fixation: Patented fasterner system for higher expansion and contraction control (see the drawings below). Available with or without stiffening ribs and striations. Square tiles with blunted point. Concealed fasteners. Siding installation : Vertically, on open framing or solid substrate. 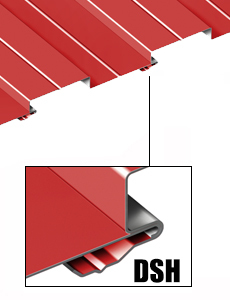 Material : Pre-painted steel and aluminum, PVDF finish Kynar® 500 or Perspectra Series™, more than 40 available colours. Also available stainless steel, copper and Galvalume®. High resistance finish. Rectangular tiles 4 folds. Concealed fasteners. Installation : On roofing and siding. Horizontally, vertically, at 30 or 45 degree (minimum slope 5:12). At 32 degree for staggered vertical installation. Siding and roofing panel. Concealed patended fastener system. 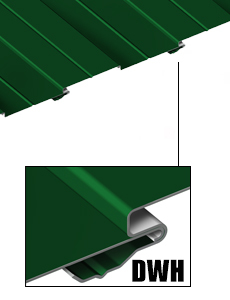 Dimension : Width 11″, 15″, 19¼”, length cut to customer specifications, minimum 2′.